Welcome to New Dawn Movies (NDM), a film & video production company based in UK and offers professional and flexible videography of all kinds. 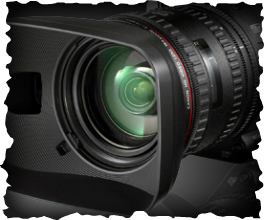 NDM offers a wide range of services in video filming to a wide range of clients. Our service range from corporate videos, commercials, and live events coverages, family functions such as weddings and special occasions, music and drama, documentaries to simple news clips for websites. We also offer editing and research services for your own productions. We cover both big and small budget productions. NDM works with clients from scriptwriting, pre-production, production to postproduction. Our business in film and video covers all across the UK. Our aim is to capture your big day with a discreet and professional service. At NDM we have an entire team of professionals in the business. We value our customers and aim to meet their needs and expectations through competently producing videos of high quality. We work out projects from ideas to development and help our clients to achieve their ambitions. NDM is also proud to launch its On Line TV. We call for upcoming enthusiastic Video makers to utilise this channel. Its there to showcase the Grassroots Budding TV and Film Enthusiasts. Why not be the first to use the channel. Please browse our pages for some of our exclusive services.